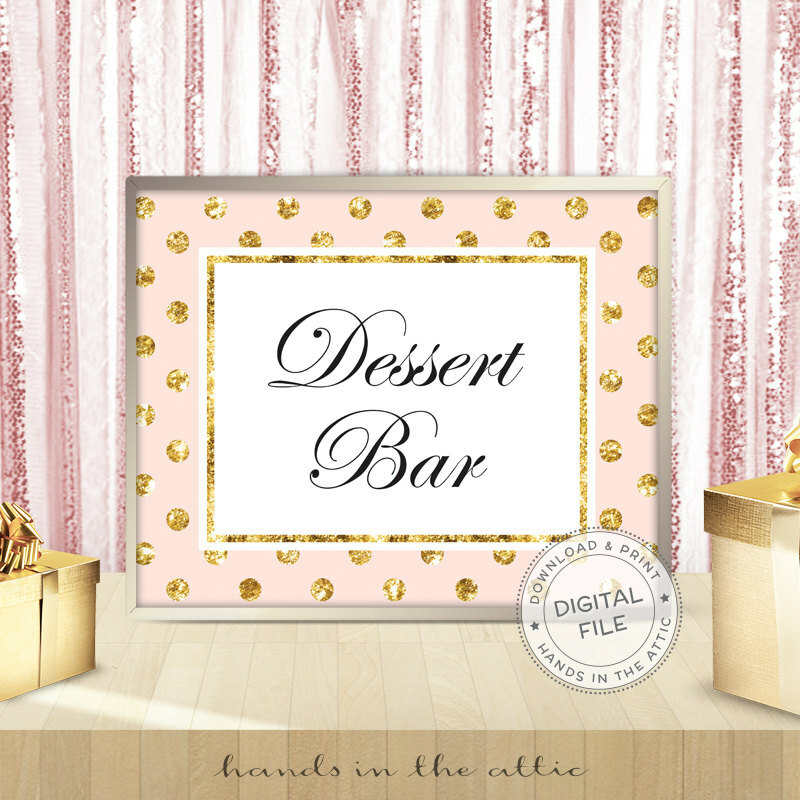 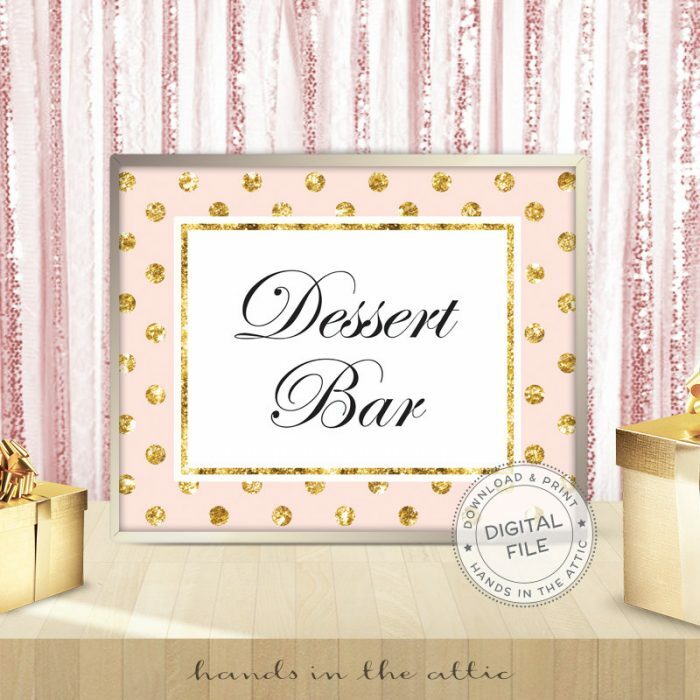 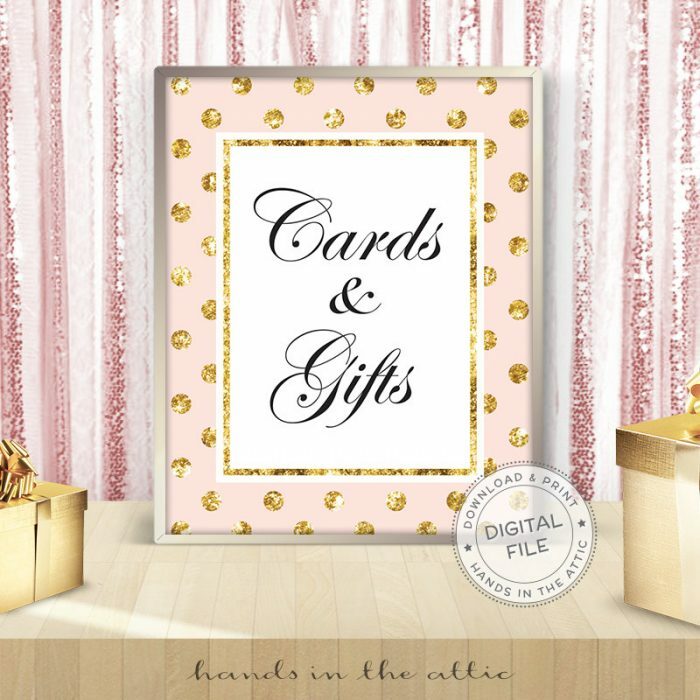 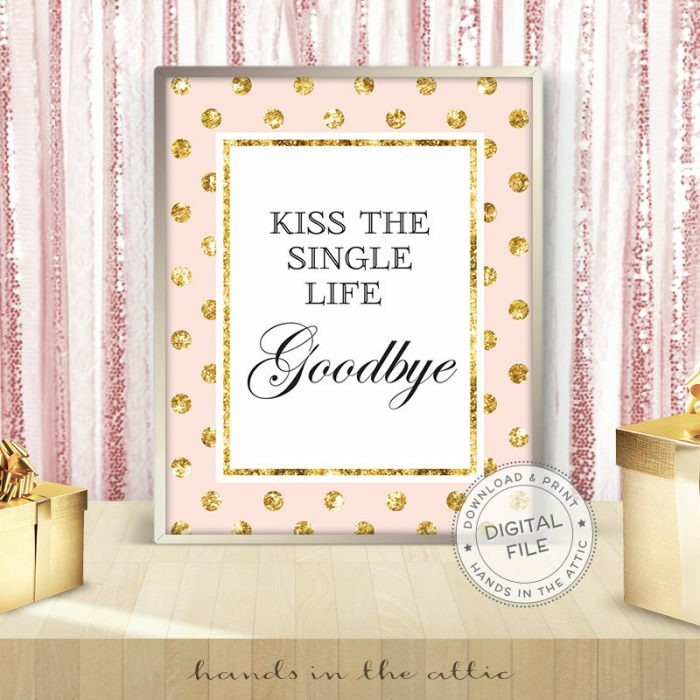 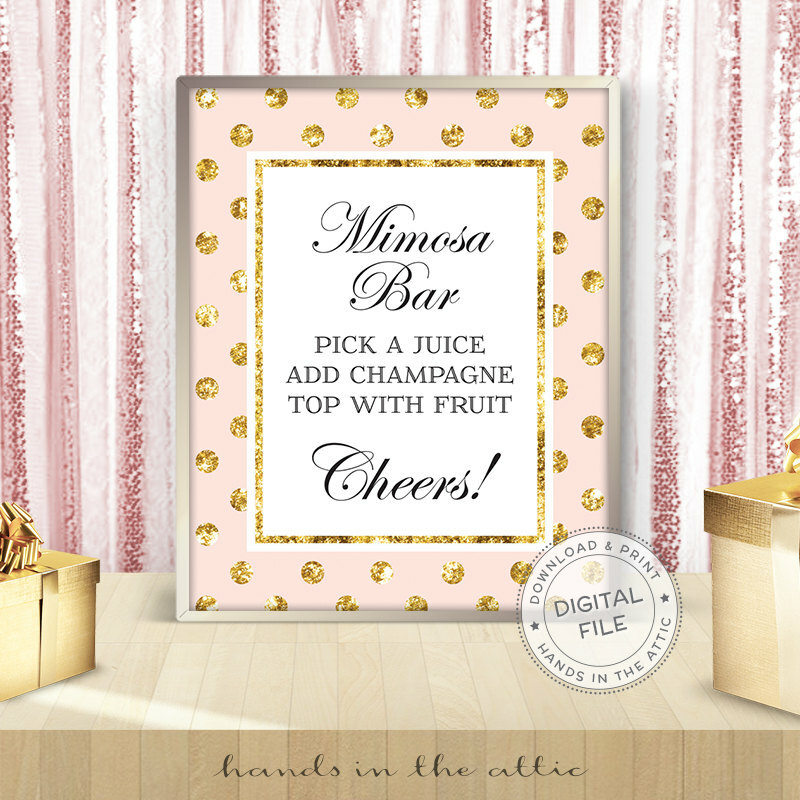 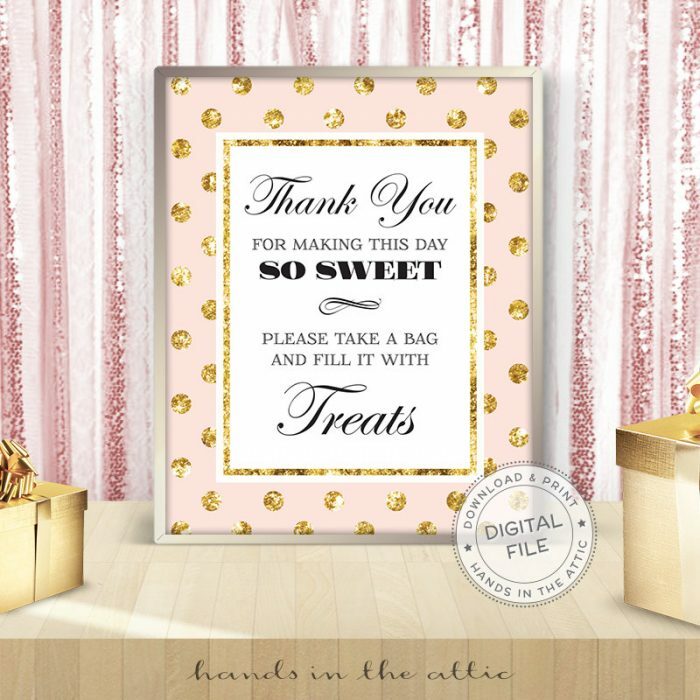 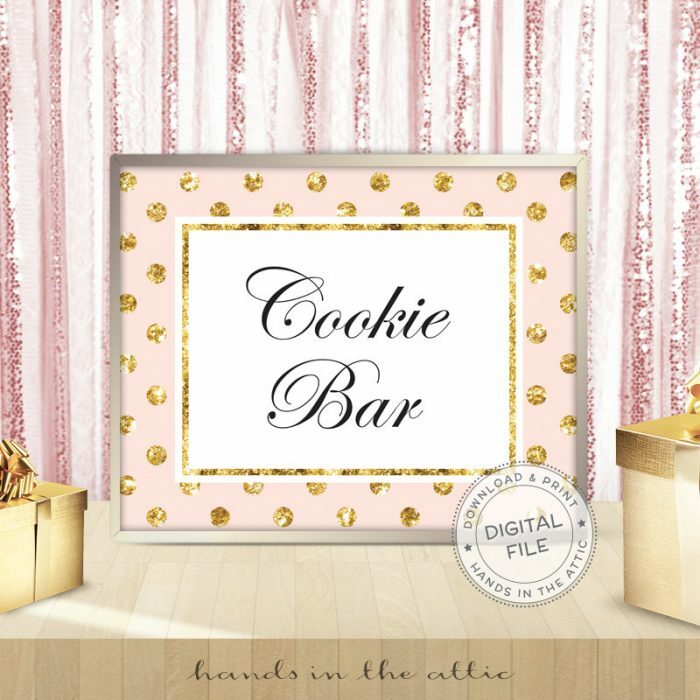 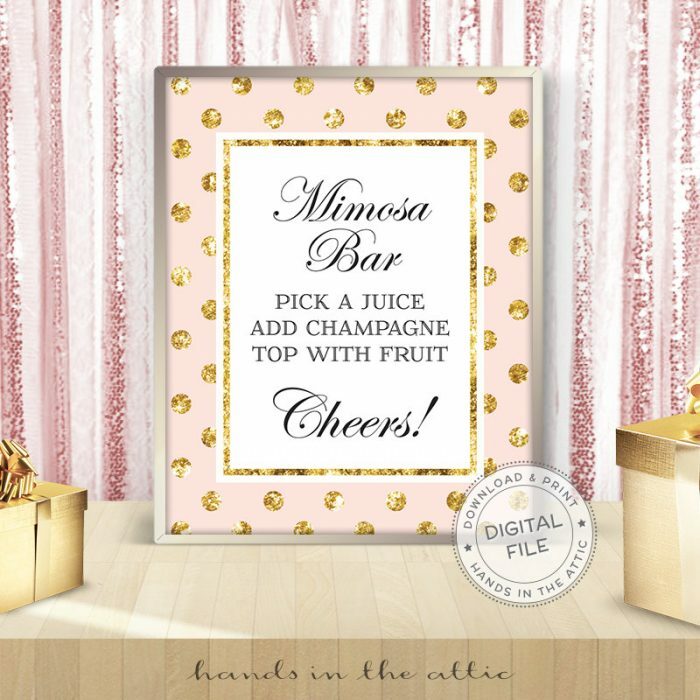 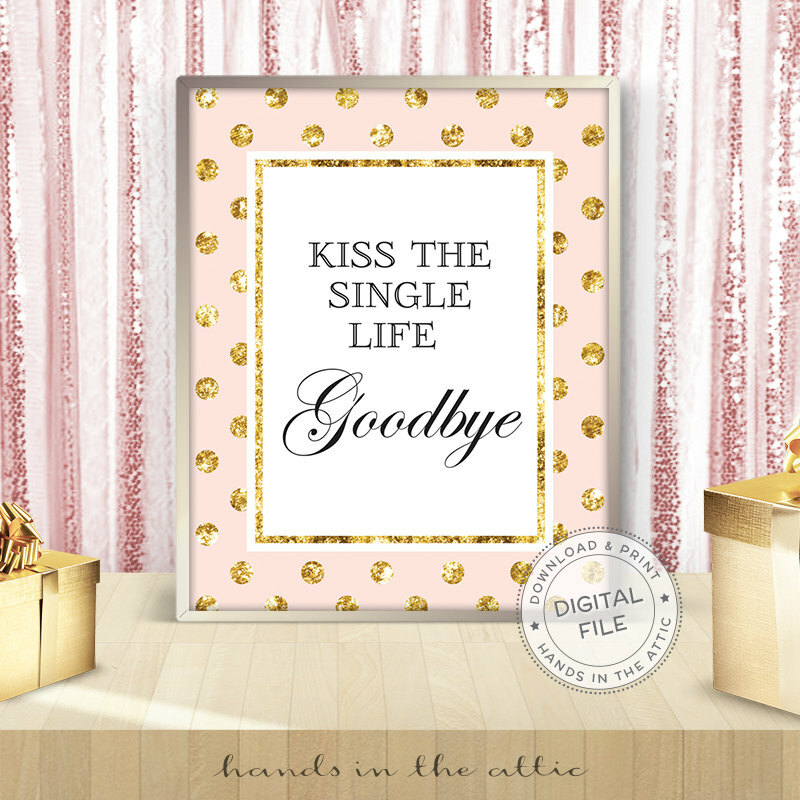 If you’re planning a party for a bride-to-be, consider one of our Pink & Gold Polka Dots Bridal Shower Signs. 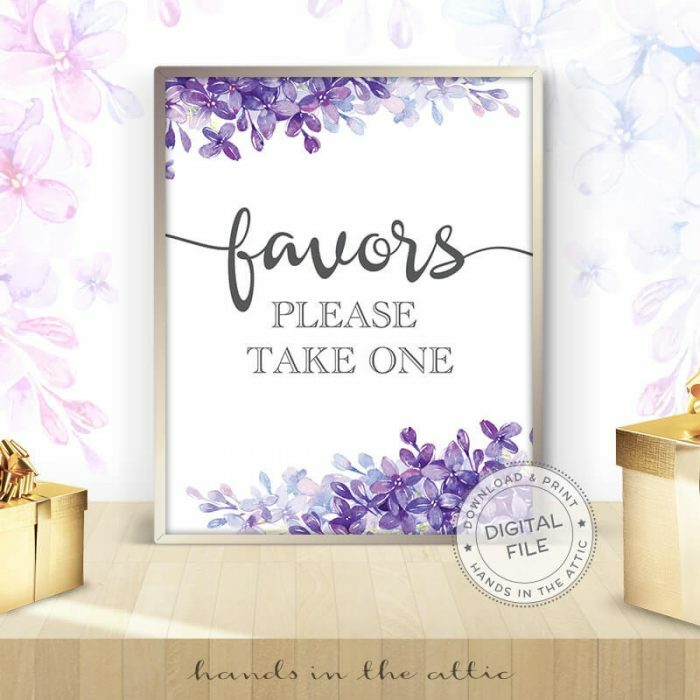 By ordering this product, you will receive a 8″ x 10″ digital file of your selected sign that you can print on your own. 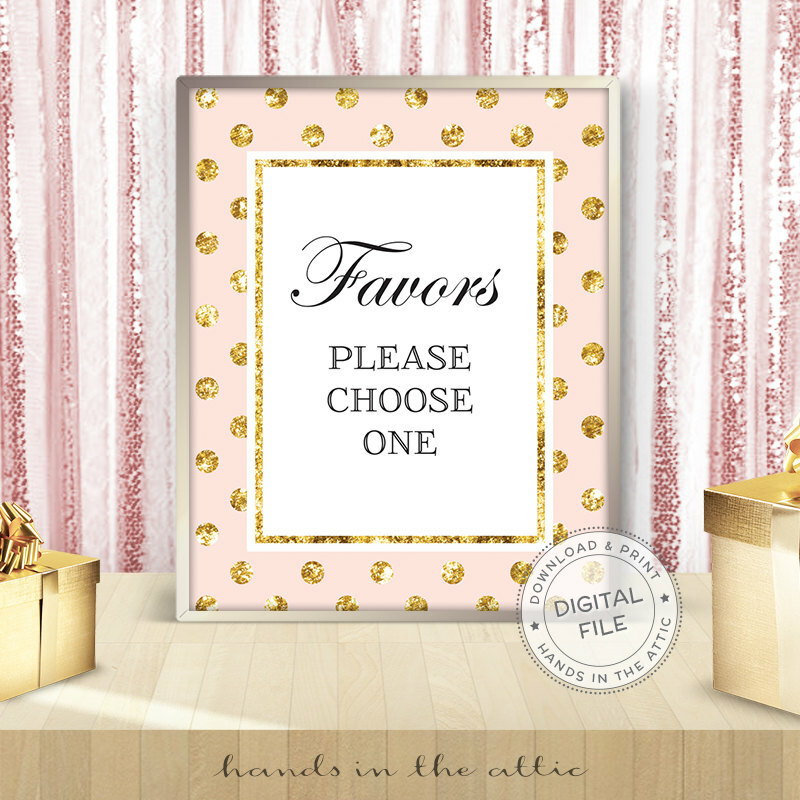 There are several wording variations available. Scroll through the images to view all of them. 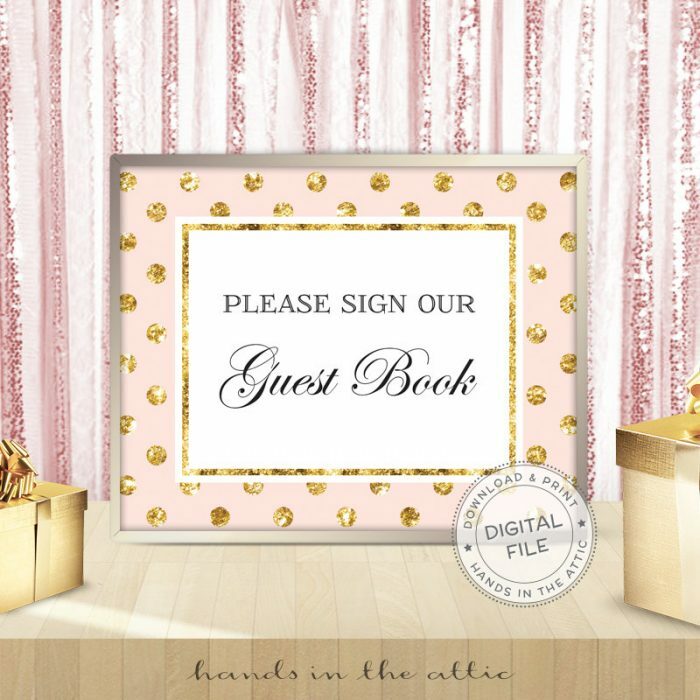 This design contains an image of glitter and will print to appear like actual glitter. 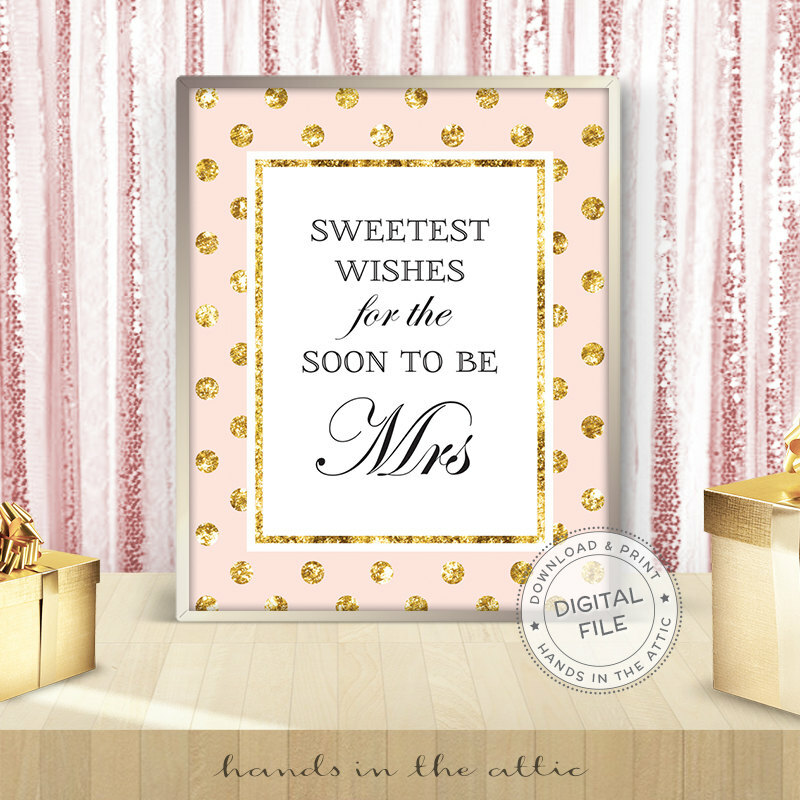 Please note that printers cannot reproduce the shine, sparkle or texture that real, physical glitter offers. Select the sign from the dropdown list and purchase this product. 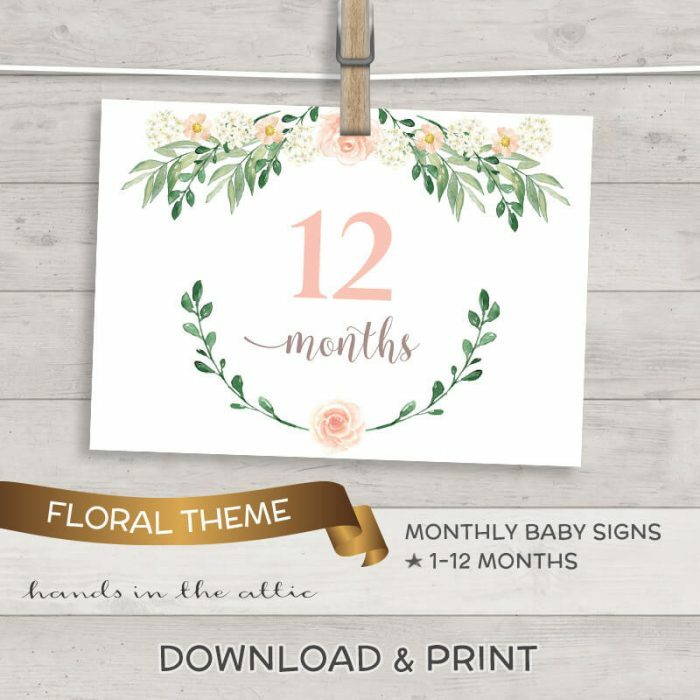 One order is for one sign.